What does the Siberian Federal University offer students? The Siberian Federal University is not just among the leaders in training Russian high-tech industry personnel, it is also a leading center for the development of biotechnology and research. Take advantage of the many facilities on offer at one of Siberia’s largest universities. Founded 10 years ago and based on the five best universities in the Krasnoyarsk Territory, the Siberian Federal University (SFU) is one of the largest and most dynamic centers of higher education and science in Siberia. 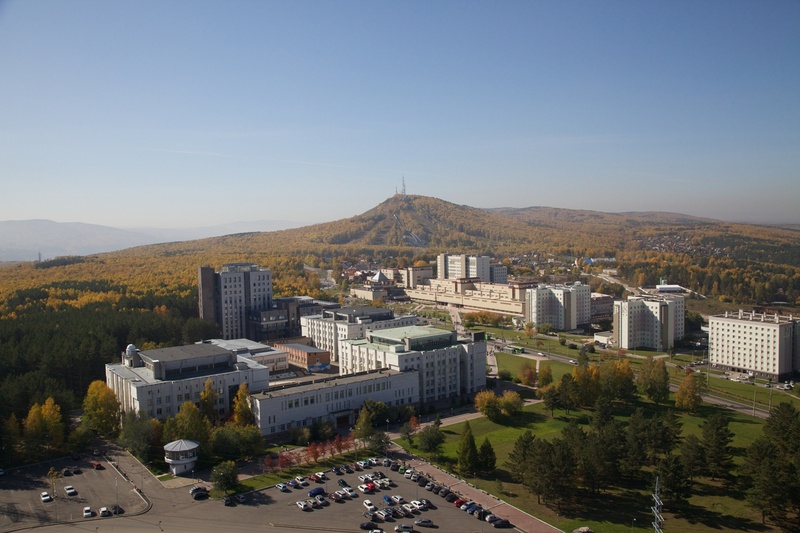 Why do foreign students go to Krasnoyarsk? Among the major advantages for foreign students is that the SFU currently has a total of around just 400 foreign students from 35 countries among the 35,000 students and over 3,000 teachers on campus. This provides a unique opportunity to get the most out of learning, and to learn Russian better than they could in Moscow or St. Petersburg. The SFU supports the "double degree" system, in line with many universities in Europe, Asia and the Americas. Hundreds of foreign students come here through various training and cultural exchange programs. The university students have access to classes and lectures by world-class specialists. The SFU has nearly 200 visiting professors every year, including leading scientists from Britain, Germany, Spain, the United States and other countries. In partnership with major Russian industrial companies and academic centers, there are dozens of innovation and research laboratories and educational centers and design offices at the SFU. Experimental productions are organized here. The SFU supercomputer is among Russia's most powerful 50 computers. The university has a station to receive space data and seismic data, its own observatory and weather station, as well as a lunar and planetary camera and a lot of other specialized research equipment. There are laboratories for bioluminescent biotechnology, biotechnology and new biomaterials, and a laboratory for biogeochemistry of ecosystems. Krasnoyarsk is located in the heart of Siberia. More than 10,000 mineral deposits have been discovered in the Krasnoyarsk Territory, as a result of which branches of the largest industrial companies are concentrated here. Over 70 percent of the area is covered by forests. The good geographical position has predetermined extensive partnership relations for the university, while its unique location has allowed integrated environmental management support for the unique areas that are rich in renewable resources. SFU research activities are clustered around the major challenges facing 21st century civilization: predicting climate change and its effects; reducing carbon dioxide concentration in the atmosphere; improving the quality of life and human life spans; improving the efficiency of extraction and the use of resources; and overcoming the limitations of power electronics. The highlight of the SFU is its campus with modern amenities, located in a natural wooded area in the vicinity of the Krasnoyarsk Scientific Center of the Siberian branch of the Russian Academy of Sciences. The campus combines the university buildings, nearly 30 dormitories, a building with a unique electronic library, a modern congress hall and a sports center. The university has repeatedly shown itself as a leader in student sports, winning prizes at Russian and international student competitions. A decision has been made to hold the World Winter Universiade in Krasnoyarsk. The SFU will receive visitors and the main site, the Universiade Village, will be located at the campus here. Students are expected to excel and gain victories in various sports and create world records.